These are species that produce woody stems, but die back to the ground in the winter in all but the warmest climates. 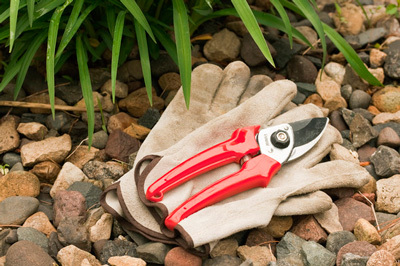 In warm winter areas these can become woody shrubs, but they generally benefit from the following pruning methods. At the end of the growing season or after first frost, spent stems can be cut to the ground. Some gardeners in cold winter climates say that leaving 3 to 6 inches of the stems intact during the winter improves survivability. They remove the remaining stems before new growth begins in the spring. In warmer areas the stems may never completely die back, but should be cut to ground to allow for new growth. 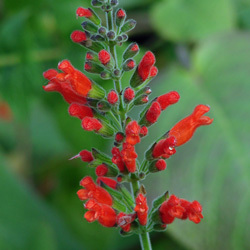 (Oaxaca Red Sage) This rare sage has small, furry, bright orange-red flowers in abundance. It grows nicely in containers or, in mild climates, can become a large shrub in the ground. Attractive, bright green foliage and winter-to-summer blooming make it a desirable choice. It may not be scientific, but the best way to describe this plant is "cute." Buds that look like little balloons ready to burst are followed by furry, tubular flowers. 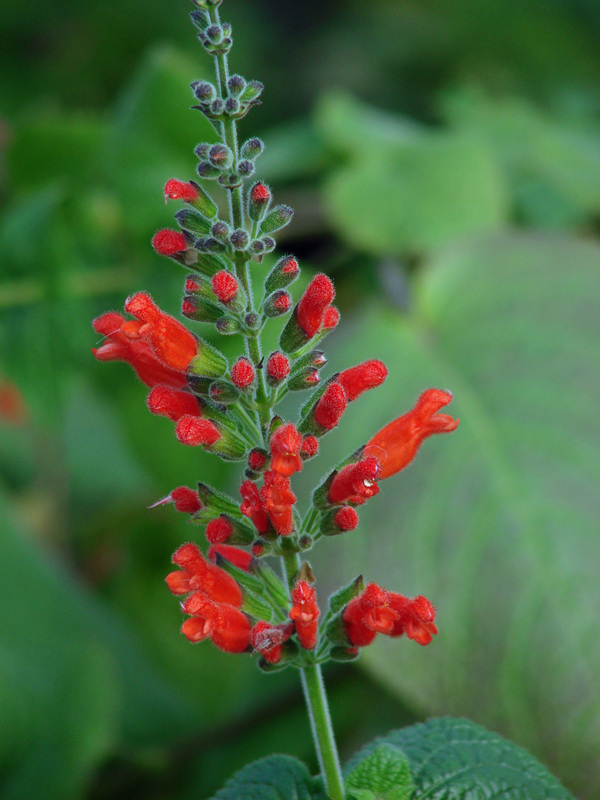 This water-loving Salvia does best in partial shade. Even though Oaxaca Red is a tender perennial, it's well worth the effort to grow this gem. This plant grows well in partial shade, such as the kind on the edge of woodlands or under deciduous trees with breaks in the foliage through which dappled sunlight penetrates. Many Salvias thrive in partial shade, including ones that spend part of their day in full sunlight. Some species need partial shade to overcome severe heat and dry soil. This plant grows well in an outdoor container, such as on a patio. Some containerized Salvias leaf out and flower year after year following a period of dormancy. Annuals in containers may die back and appear to grow again when they reseed. During extreme heat, check the soil in container plantings once or twice daily to be sure it doesn't completely dry out. Feel its surface for coolness, then gently poke a finger into the soil to check for dryness. 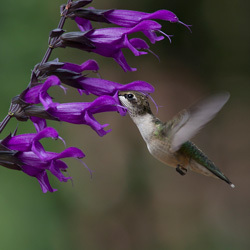 Color, shape and smell are characteristics that affect whether a bird or insect will dive into a flower in search of food. 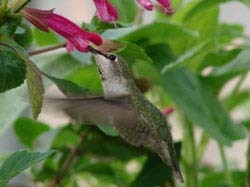 Whereas bees seem not to notice red at all, it is the go-to color that most birds look for at mealtime. In one word? WOW! May the Lord continue to bless you and yours to prosper. I received my order at the time I was told I would get them. They were good after 7 days in shipping, a little dry but they have be growing just fine. I can't wait to see them bloom. Everything was packed beautifully and is settling in well in Portland. Very happy with several healthy plants, and they arrived quickly. Thanks!